Beautiful live edge walnut coffee table anchored by two walnut bow-ties. Amazing color and grain from end-to-end along with a prominent feathering from the wide end. 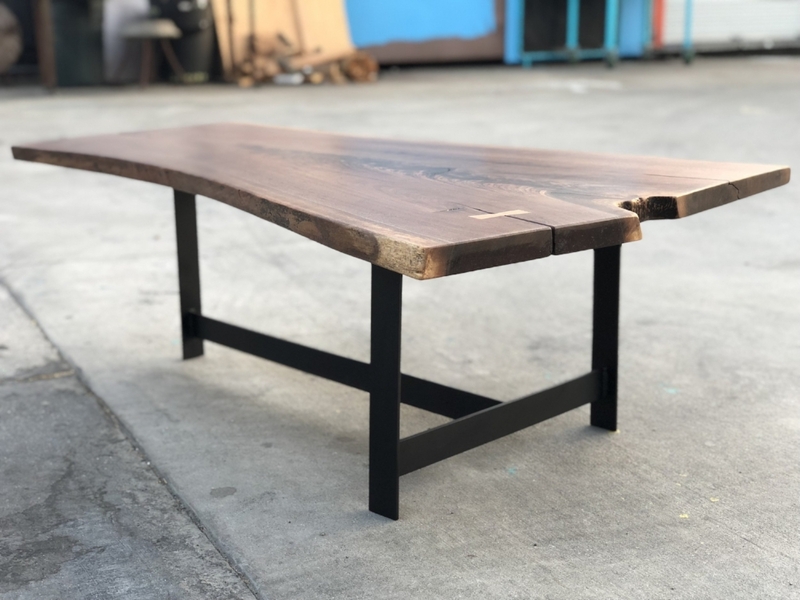 Custom-welded base in matte black adds the finishing touch to this one-of-a-kind table. Every item we make is unique in their own way, from size to patterns to figuring and character. No two products we make are ever the same. IMPORTANT: PLEASE READ OUR POLICIES before making any purchase. The imperfections of live edge wood are part of what makes them unique and beautiful. These can include checks, small cracks and splits, off-coloration from one part of the wood to another, voids (and other natural holes), slight surface unevenness, and planer and/or sanding marks among others. 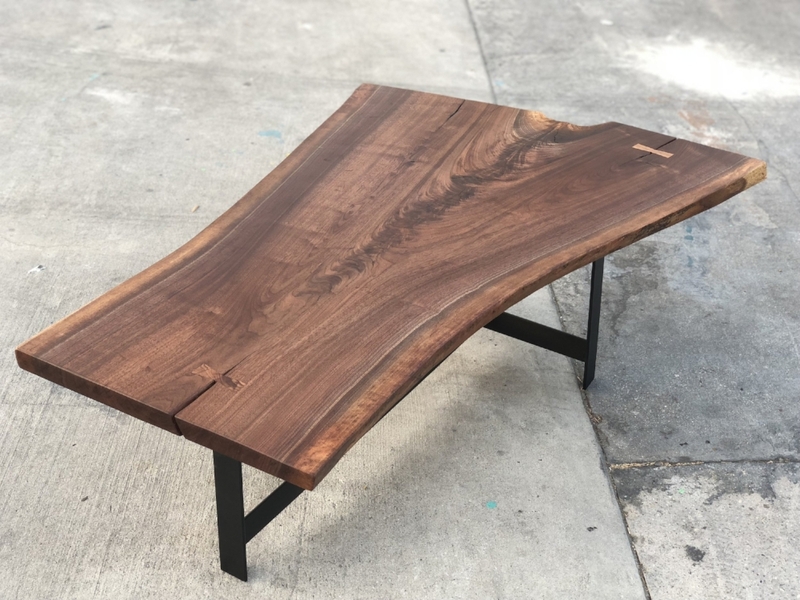 Please remember that these imperfections are either inherent in all live-edge furnishings or a result of the milling, cutting or finishing process and we urge you to look closely at all photos before purchasing.